I don’t know about you guys, but I am so done with the winter. I feel like Lady Cleo could have predicted the snowstorm that Punxsutawney Phil missed. Well done you poorly prognosticating vermon. Well, with spring only partially sprung, I am desperate for the warmer season and the its bright and light flavors. One afternoon, I found myself a little stir crazy in the apartment. I decided to clean out my pantry and struck gold — hard as a rock brown sugar, a boat load of unsalted butter (in general, I like to have 8 sticks at all times. You just never know when you’re going to be in a jam), and some lemons that were on their slow descent to my garbage pail. Jackpot. I took to the oven and preheated to the magical 350. It was officially cookie time. In small saucepan over medium heat, add the stick of butter swirling the pan constantly. Watch the butter because as soon as you start to see some brown, it will only take a few more moments on the heat and you don’t want to burn it. Your nose will tell you once it’s done. Brown butter should have a wonderful nutty aroma. Pour the browned butter immediately into a cold bowl to stop cooking. Cream together the browned butter, brown sugar, egg, and vanilla. Add the flour, baking powder, baking soda, and salt. ****A helpful hint for hard brown sugar — if you’re not going to use it right away, throw a piece of soft bread in with the sugar and it will bring back some of the moisture. If you need the sugar ASAP, put the brown sugar in a bowl and water in a separate bowl into the microwave and heat for 1 minute. The steam from the water will soften the sugar. Take note, use that sugar right away because it’ll turn into cement again as it cools. Line a baking sheet with parchment paper. 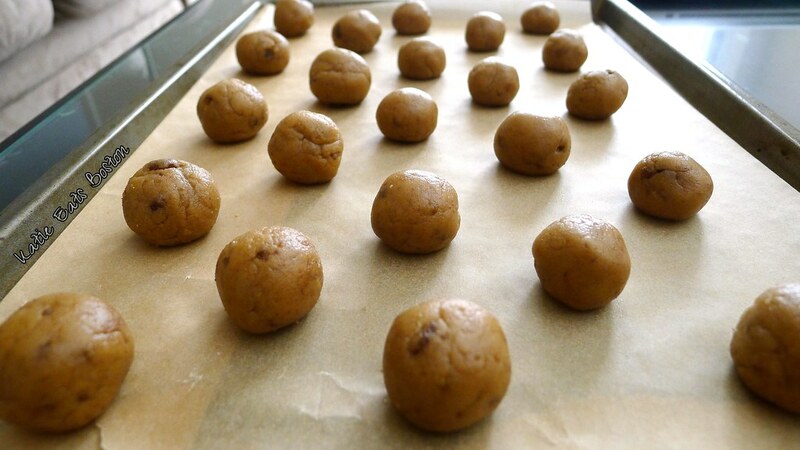 Roll dough into1 tbsp balls, flattening lightly before placing them on the baking sheet. Take note, they won’t spread out too much while they’re baking. Bake for 8-10 minutes until the edges are just slightly brown. Let cool completely before adding the frosting. For the frosting cream the half stick of butter using a handmixer on medium. Add the 1 cup of powder sugar in two parts — if you add it all at once, you risk some lumpy frosting. Add the lemon zest and half of the juice. If the icing is spreadable, stop there; if it needs more liquid add just a touch of the lemon juice. 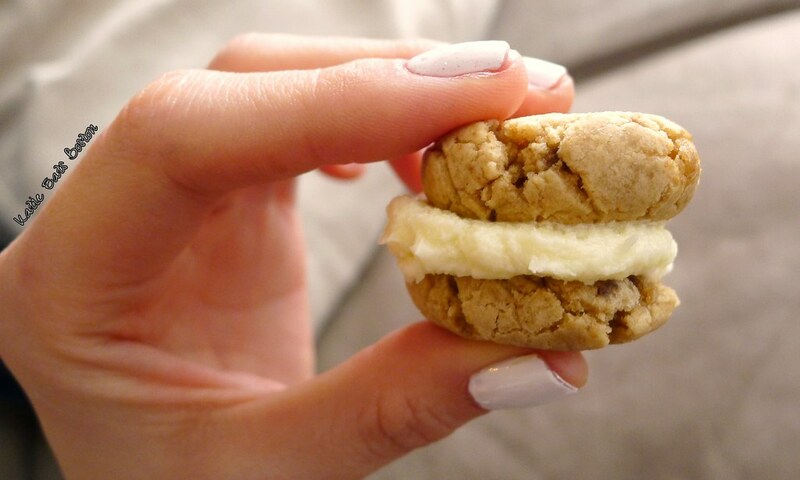 Spread on your cookies and make your sandwiches. Eat and repeat! And then you can be a crazy person like me and do about 100 squats and lunges around your apartment. Afterall, bathing suit season is fast approaching! those cookies look so delish! Thank you. If you like lemony treats, they’re worth a try.